Beware of man posing as Sabah Minister | Daily Express Online, Sabah, Malaysia. 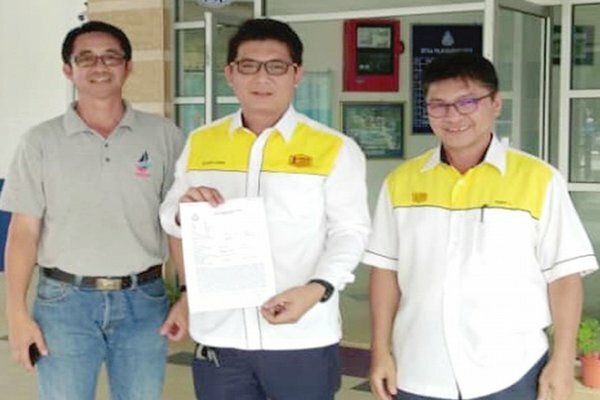 Ranau: State Infrastructure Development Minister Datuk Peter Anthony cautioned the public of a con claiming to represent him and calling up to make enquiries on projects. This followed a police report lodged by a staff of the Public Works Department here on Tuesday (Sept 4). Mac Glen Frederick Lojuman, who lodged the report at the district police station, said he received a call via the handphone number 016-4691739 claiming to be Peter. He said the caller directed him to list out development projects in Ranau that have not been implemented and to provide the list by 2pm. Mac Glen said he sent a list of names of projects as requested at 12.30pm, without putting down his name and signature. At 4pm, the caller contacted again and asked for another list of village roads in urgent need for upgrading, to be sent immediately. The caller claimed the work to repair damaged roads needs to be implemented by this year and then asked for recommended names of experienced contractors to carry out the work. The PWD staff explained to the caller that it was beyond his job scope to provide and recommend the names of contractors. However, he gave the names of several local contractors in Ranau when requested. Later, when a call was made to the number (016-4691739) by someone who knew Peter, it was found that the voice was not the Minister's. Peter said he neither gave any directive to anyone to ask for the list of projects nor made any call to request for the list.